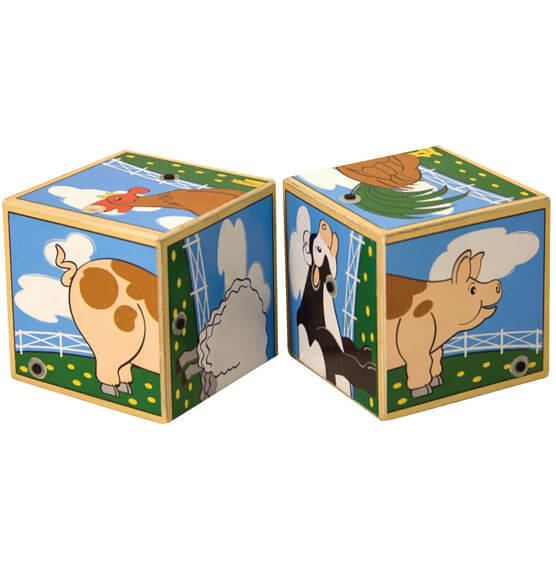 Animals "sound off" when these Melissa & Doug® Personalized Farm Sounds Blocks are properly placed in the wooden tray! Find the halves that match and listen to six realistic farm animal sounds. 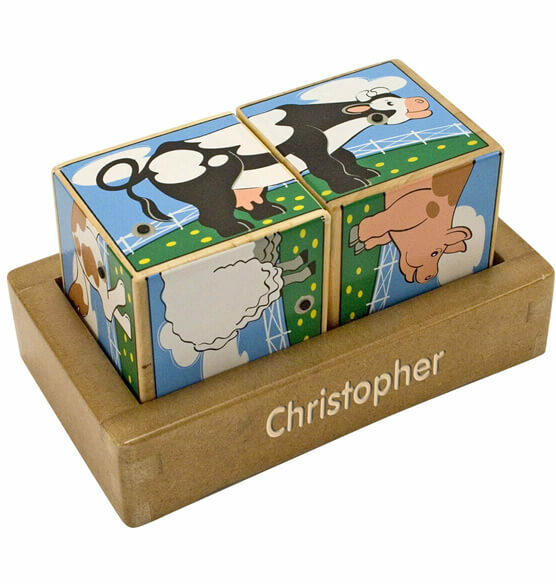 This children's toy develops visual perception and fine motor skills. Express shipping not available. Please allow 2-3 weeks for delivery.